Huge porcelain top takes two Ritter size trays plus extra room. Extra stable base that allow height regulation. Junction box with filter and regulator. Foot control with chip blower and water on off command. 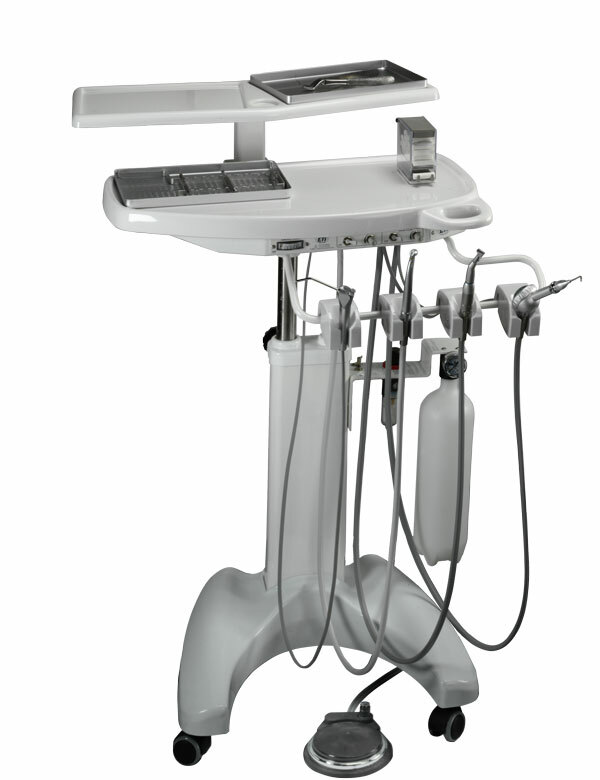 Periapical X-ray viewer mounted on bracket table within easy reach. Option for Built in Satelec Ultrasonic. .
Option for Electric Micro motor with or without light. Option for Fiber optic High speed hand piece. Option for a side arm (that way the hand pieces are in the right side of the unit.